Aberdeen, a port city situated in the North East of Scotland, boasts a buzzing maritime heritage, stunning scenery and plenty of wildlife. 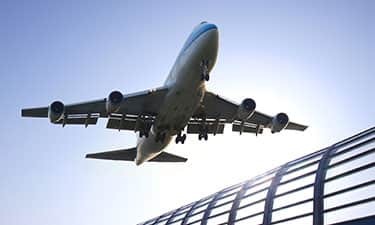 Book one of our Aberdeen Airport Hotels and while being conveniently located near Aberdeen Airport terminals enjoy everything this popular town has to offer, including its rolling hills, picturesque spots, museums, gardens, parks and family activities. If you’re looking for a relaxing yet fun-filled destination, Aberdeen has something to suit all and is the perfect place for a weekend break. Book one of our hotels near Aberdeen Airport and enjoy an abundance of attractions, including Seaton Park. Located less than three miles from our Aberdeen Central Justice Mill Land hotel, it’s a great place to spend a relaxing day and one of the area’s largest expanses of green space. The Aberdeen Maritime Museum is also close by, positioned five minutes from our Aberdeen Central hotel, on the historic Shiprow in the heart of the city. Set in Provost Ross’s House, it is here you’ll learn all about the Aberdeen’s relationship with the ocean. Aberdeen Science Centre is also in the area and is a great place to visit with children, especially those looking for an educational adventure. With so much to see and do while staying at our Aberdeen Airport hotels, this city has something to suit all. David Welch Winter Gardens is a popular tourist spot. This idyllic indoor garden is Scotland’s third most visited attraction and is home to a variety of exotic plants from all over the world. Victoria Park is also close by, a picture-perfect outdoor area boasting a number of open green spaces, an abundance of pretty flowers and shrubs as well as a celebrated Rhododendron.